For several years, JEANNEAU has established partnerships with the goal of forming successful collaborations with business partners who share our high standards, as well as with associations who share our values. NVequipment, French specialist for equipment for 40 years, designs and manufactures outdoor boat protections, which are adjusted to each deck sailing, hulls or motor boats. 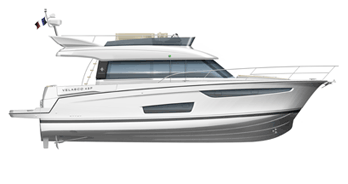 The Vendée-based company, expert in job and process, issues products perfectly adapted to hulls. NV protects, customizes and adds a touch of style and comfort to boaters for all navigation and boat types. NVequipment launches the first collection of Outdoor cushions, specifically design for satisfy crew aboard. Create a cosy and tendency ambiance that suits you! A luxury range of organic bedding & towels uniquely created for Sun Odyssey and Jeanneau Yachts sailboats ranges by Mona Lison. Ever-so gently, Mona Lison fine beddings intensify the feeling of well-being. Their reined aesthetic style is both elegant and definitively contemporary. 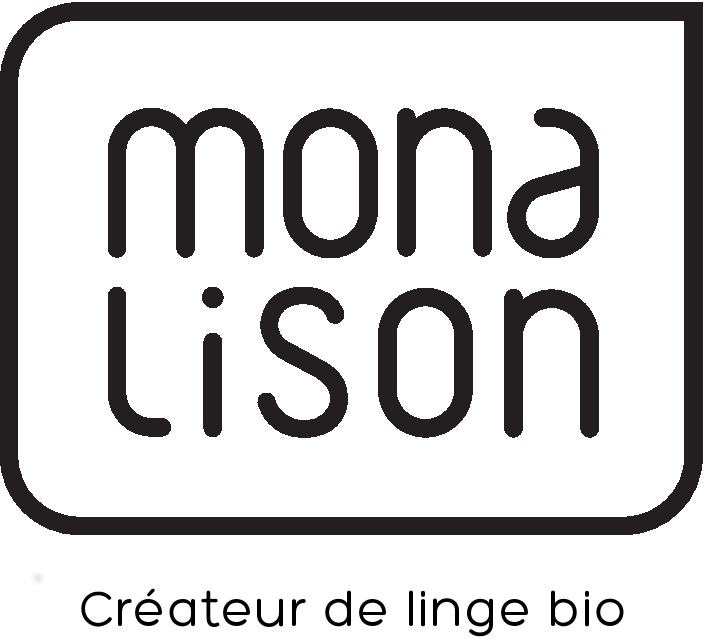 Using only natural and organic materials, the creations of Mona Lison bring together refinement, softness, comfort and authenticity. With Mona Lison, dream of cruising with conscience-free mind and spirit, in new generation luxury, where high-end quality, ethics and comfort combine. Made to order, each bedding set is unique, designed and customized to satisfy each customer. Widely considered the most important race in Europe for liveable sailboats, the Spi Ouest France is held each spring, mixing amateurs and professionals, monohulls and multihulls, One Designs, as well as IRC and Osiris production model boats. Each year, nearly 500 boats and over 3,000 crewmembers come together to kick off the racing season with the Spi Ouest France. The ARC is the largest transatlantic sailing race in the world, and it takes place every year. Anyone can participate. Sailing amateurs and professionals alike race over 4,300 km across the Atlantic, from the Canaries to Saint Lucia. Each year, the ARC attracts over 100 sailboats from around the globe. Cummins Inc. Is renowned as a world leader in diesel propulsion systems. Its success in the marine market is the result of eighty years of experience in the design of reliable engines and related equipment for cruising and commercial use. Mercury Marine has continually led the way in the development of marine propulsion systems, renowned for technology, performance and innovation. CMD has become the top choice of the marine industry for integrated performance solutions. Navico is the parent company of five distinct and well-known brands of marine electronics products: B&G, Eagle, Lowrance, Northstar, and Simrad Yachting. Combining cutting edge technology and design for intuitive use, Raymarine products are ideally suited to the needs of today’s sailors and cruisers, whether for use in a race around the world or on a simple weekend fishing trip. Yamaha is synonymous with performance, quality and reliability – and behind this is a reputation earned over the years by creating outboard motors and marine products that integrate the most advanced and innovative technology. The Yamaha Motors Group is a key partner in JEANNEAU’s line of outboard powerboats. The Jeanneau Owners Network is an independent organisation developed by Jeanneau owners as an authoritative resource for all those who own, or are interested in Jeanneau yachts and boats worldwide. Established in 2001, the Jeanneau Owners Network has grown to become the worlds' largest single brand yacht association, with over 5,000 members from more than 60 countries. The Jeanneau Owners Network provides regular news updates and has an active worldwide owners forum and facebook group. Every two years since 2001, with the association, “Les Voiles de l’Espoir,” the Table Ronde Française organizes a sailing week for children whose cancer or leukaemia is in remission. This is the largest French nautical event organised for children from 8 to 14 years old, allowing them to participate in an unforgettable adventure, to get away and enjoy, in a safe environment, a week of activities organised just for them. Voiles de l’Espoir gives priority to the human relationship with these kids who have battled disease. This event actually begins several months before its programmed start with meeting the children and their families, and its impact extends far beyond the cruise. Its concept is based on the awareness of the North/South disparities in the maritime world. Sharing and contributing to local knowledge regarding large boats, and helping emerging countries by realizing projects for the well being of vulnerable populations. After long months spent protected in a glass bubble, isolated from the world, these children come from the transplant centres of French university hospitals to regain a taste for living. This association aims to give several days of pure joy to over forty children, from 7 to 15 years old. Created in 1999 at the initiative of the Beneteau Group, EYB is a subsidiary for pre-owned boats. A unique online service, EYB has created a website that centralises and standardises offers for pre-owned boats from European Beneteau, Jeanneau, Lagoon and CNB dealers. EYB is the best choice for selling or buying your pre-owned boat. EYB is the number one network used by European marine professionals for the sale or purchase of pre-owned boats. EYB relies on a network of some 200 dealerships located throughout Europe. Specialised in the preparation and equipment of new boats to be shipped out to marine professionals, the mission of SAS is to carry out the final step of delivering a boat.